I am trying to implement some of the things I have been reading in the Hogarth anatomy book I just purchased. This is the 1st test sculpt, an hour shown in video, 2 hours to get to the finished image. 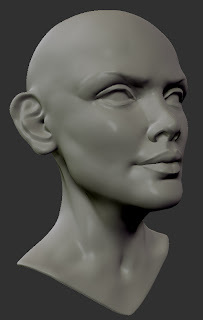 Zbrush 4r5, dynamesh, clay, claybuild-up, dam standard and a few others in the mix.